Born and bred in Turku, Finland and now living in exile in Helsinki Vapor started making electronic music when he was fourteen. Influenced by electro, chigago trax, detroit techno and house he also started to deejay in local bars and clubs. His first public deejay gig with a healthy dose of downtempo and house was at the age of seventeen. 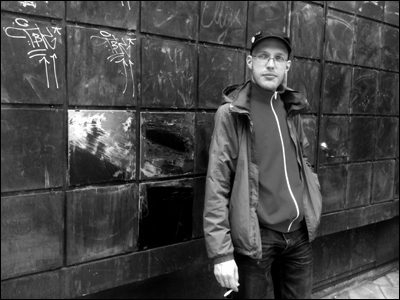 Vapor was one of the three resident deejays of the late Butane club (2004–2010). Vapor has released tracks on Open Concept Recordings, Quadrant and X-Rust. He has collaborated with finnish techno artist Kitkatone merging their output as Vaptone and has also made glitch, ambient and noise textures with his other pseudonyms suchs as Wolf vortex and OstLand (w/Juho Lukinmaa). Vapor's style does not fall into any particular style. While he mainly remains on the technoid side of things he also enjoys exploring other styles and changes his style from almost track to track. Maybe the guy gets bored easily? Who knows.